What do you need to know to land the job you want? Here's how to find out. You think you know what kind of job you want, but how can you be sure? And how do you land that kind of job? Our list shows you 10 ways to discover the credentials you need for the jobs you want. The first step in deciding on a degree is to choose the jobs you think you might want. Make a list of the jobs that sound interesting to you, but stay open to the possibilities you didn’t even know existed. For each job, make another list of the questions you have about it. Be sure to include what kind of degree or certificate you’ll need to land those jobs. There are talent, skill, and interest tests you can take that will help you identify what you’re good at. Take a few of them. You might be surprised by the results. Several are available on the Career Planning site at About.com. The Strong Interest Inventory is available online now. This test matches your answers with people who answered like you, and tells you which career they chose. Most of the online career tests are free, but you have to provide an email address and often a phone number, and you know what that means. You’ll be getting some spam. Searched for: career assessment tests. One of the best ways to find the right job is to volunteer. Not every job is conducive to volunteering, but many are, especially in the health field. Call the main switchboard of the business you’re interested in, or stop by, and ask about volunteering. You might discover immediately that you don’t belong there, or you might find a rewarding way to give of yourself that lasts a lifetime. The Registered Apprenticeship model is well suited to many occupations in health care. The model helps participants attain high performance through a cohesive process which links formal instruction in the form of a degree or certification with on-the-job learning (OJL), guided by a mentor. The apprentice goes through a structured program established by the employer that includes incremental wage increases until he or she completes the course of training. The Chamber of Commerce in your city is a wonderful resource. The business people who belong are interested in everything that makes your city a better place to live, to work, and to visit. Membership fees are usually quite small for individuals. Join, attend meetings, get to know people, learn about the commerce in your city. When you know the person behind a business, it’s so much easier to talk to them about what they do and whether or not it would be a good match for you. Remember to ask about whether or not their work requires a degree or certificate. The U.S. Chamber of Commerce is another source of helpful info. An information interview is a meeting you set up with a professional in order to learn about their position and their business. You ask for information only, never for a job or favor of any kind. If your information interview goes well, and the job is one you think you’d really like, ask about the possibility of shadowing a professional for a day, even a portion of a day. When you see what a typical day entails, you’ll know better if the job is for you. You might run as fast as you can, or discover a new passion. Either way, you’ve gained important information. Did you ask about degrees and certificates? Job Fairs are incredibly convenient. Dozens of companies gather in one place so you can walk from one table to the next to learn in a few hours what could otherwise take months. Don’t be shy. The companies that attend job fairs need good employees as much as you want a new career. The objective is to find the right match. Go prepared with a list of questions. Be polite and patient, and remember to ask about necessary qualifications. Oh, and wear comfy shoes. 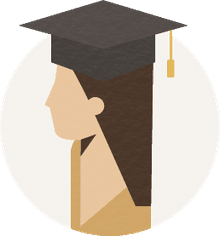 Many colleges and universities allow people to audit classes for free, or for a very reduced price, if they have seats available at the last minute. You won’t get credit for the course, but you’ll know more about whether or not the subject interests you. Participate as much as you’re allowed. The more you put into a class, any class, the more you’ll get out of it. True about life in general. The U.S. Departments of Labor has lists and graphs of high-growth industries. Sometimes just perusing these lists gives you ideas you wouldn’t otherwise have thought of. The graphs also indicate whether or not you need a college degree. In the end, only you know which career will be satisfying to you. Listen carefully to that little voice inside you, and follow your heart. Call it intuition or whatever you want. It’s always right. If you’re open to meditation, sitting quietly is the best way to hear what you already know. You probably won’t get a clear message about the degree or certificate you’ll need, but you will know if the pursuit of it feels good inside or makes you want to lose your lunch. Those people for whom a career path is a no-brainer heard that little voice loud and clear from the very start. Some of us just need a little more practice.